Todays healthcare supervisors are continuously faced with smaller budgets, fewer workers, greater responsibilities and time pressure. 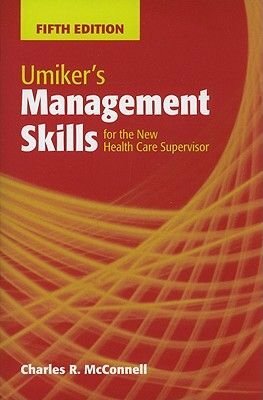 The all new Fifth Edition of Umikers Management Skills for the New Health Care Supervisor continues to provide valuable information for future health care managers and supervisors who must address these challenges daily. Written primarily for those who have little to no management training, Umikers offers practical suggestions for improving effectiveness both as a supervisor and as an organization. Ideal for students in junior undergraduate, community, and career college programs, author Charles McConnell maintains Bill Umikers clear, jargon-free writing style.